We are committed to achieving a positive and effective health and safety culture throughout the organisation and regard good health and safety performance as one of our primary business objectives. 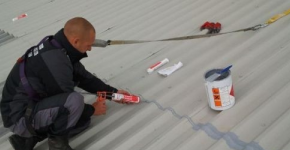 Our specialist cut edge corrosion team are highly skilled and have had many years experience repairing and treating the damage caused by cut edge corrosion and subsequent weather damage. 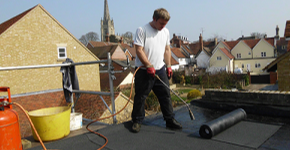 Our Roofing Systems comprise a range of polyester reinforced, SBS modified membranes, insulation boards and vapour control layers which are applied using either Torch Applied or Pour & Roll techniques. 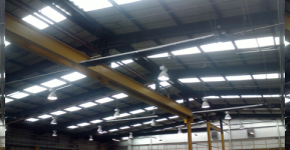 We can replace old roof lights as cleaning is not always an effective solution where light levels have been reduced due to age or other factors. 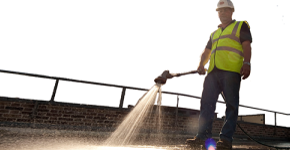 We can conduct a full lap test as part of our leak detection service. This is conducted to manufacturer’s standard lap testing recommendations using the appropriate propriety tool. 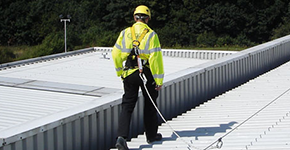 Kirbys Roofing (Widnes) Ltd offer Planned Roof Maintenance contracts, and undertake cleaning, maintenance and repair of industrial, commercial and retail roofs and gutters throughout the country. 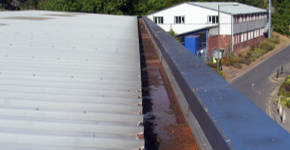 We can replace existing gutters with the most modern systems available today. 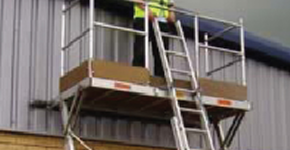 They can be fabricated to suit your needs from a range of materials including galvanized steel and aluminium.